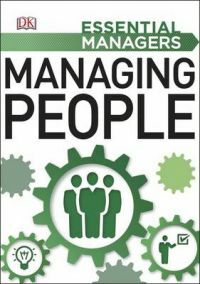 This is the practical guide that gives you the skills to succeed at managing people. DK's Essential Managers series contains the know-how you need to be a more effective manager and hone your management style. You can find out how to improve your people management skills by learning how to motivate staff, improve performance and create positive relationships. You'll learn to build confidence, communicate clearly and establish trust. In a slim, portable format Essential Managers gives you a practical 'how-to' approach with step-by-step instructions, tips, checklists and 'ask yourself' features showing you how to focus your energy, manage change and make an impact. If you are keen to brush up on or enhance your management skills, this is the guide for you.